Classy and trendy, this golden-purple colored pendent set from Anuradha Art Jewellery is definitely not to be missed. 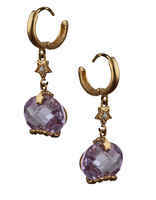 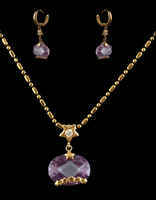 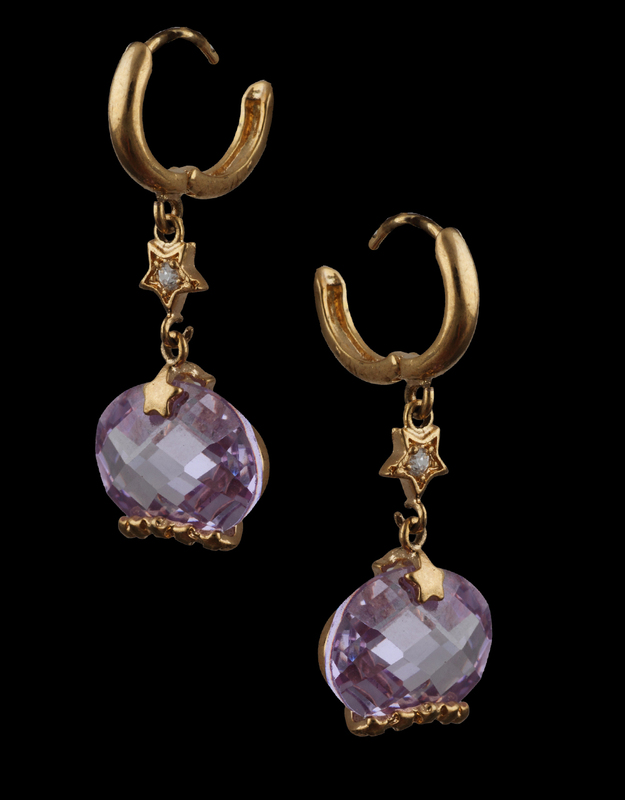 This set is durable & studded with purple colored stone. 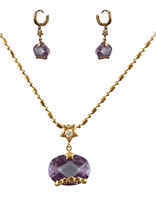 It is fashioned from Korean metal.